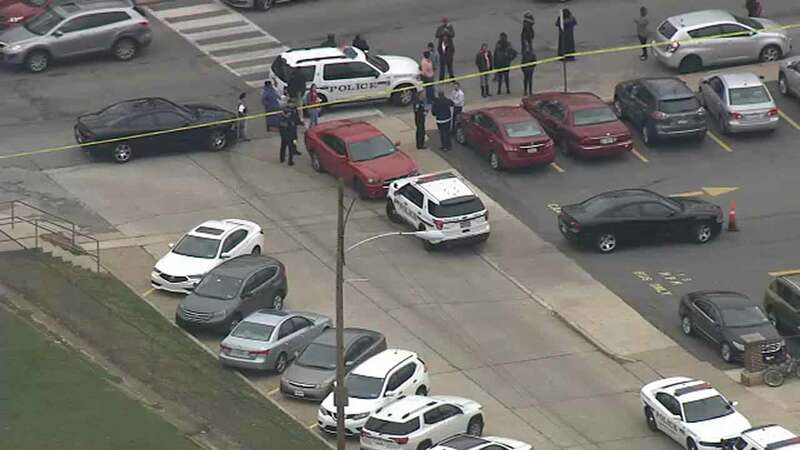 UPPER DARBY, Pa. (WPVI) -- A lockdown has been lifted at a school in Upper Darby after students reported seeing another student with a pellet gun. The UDPD placed BHMS in a lockdown at approx 8:45. Lockdown has now been lifted and everyone is safe. District will release details in a Parentlink message within the hour. Beverly Hills Middle School on Garrett Road was placed on lockdown at 8:45 a.m. Thursday. Upper Darby Police Superintendent Michael Chitwood said students on their way to school saw a fellow student place a pellet gun into a backpack and then reported that incident to school officials. UPDATE- BHMS- student displayed a pellet gun on way to school. Pellet gun never made its way into school. Lockdown is being held for safety purposes. Will be over soon. The student then apparently threw the pellet gun into some bushes, Chitwood said. It was later recovered by police. The pellet gun never made it into the school building, police said. The lockdown was lifted by 10 a.m.